FATHER Bernard (Bernie) Kenny, who died on June 10 aged 86, was known as a notable preacher and for his ministry to the sick and aged. Fr Kenny had been living in Port Macquarie, and his funeral Mass was held at the city’s St Agnes’ Church on June 23. Lismore Bishop Gregory Homeming, priests of the diocese and visiting clergy were to concelebrate. Lismore diocese’s website said Fr Kenny’s ministry to the sick and the aged “was well known and appreciated in the parishes in which he served”. “Those who came to him for assistance knew him for his kindness and generosity,” the website said. “Over the years, many of his fellow clergy found him to be a sincere friend, honest and supportive. “In his later years, he became involved in Charismatic Renewal, the Chaplet of Divine Mercy and once a month all-night Adoration of the Blessed Sacrament. Fr Kenny was ordained on July 22, 1956, at St Agnes’ Church, Port Macquarie. NSW’s then-premier Joe Cahill attended. Fr Kenny’s first appointment was as assistant priest at Coraki. Other appointments followed as assistant priest at Casino, Grafton, Coffs Harbour, Maclean and Tweed Heads. He later served as parish priest in Coraki, Wauchope and Smithtown. 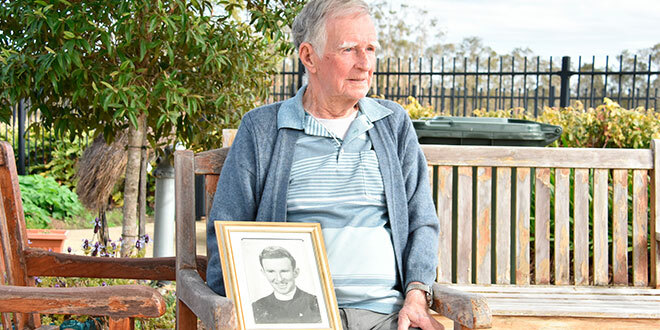 Port Macquarie News interviewed Fr Kenny last year when he celebrated his 60th anniversary of ordination. In the story, Fr Kenny said every person held value to him. “To me, everyone I met was very important,” he said.